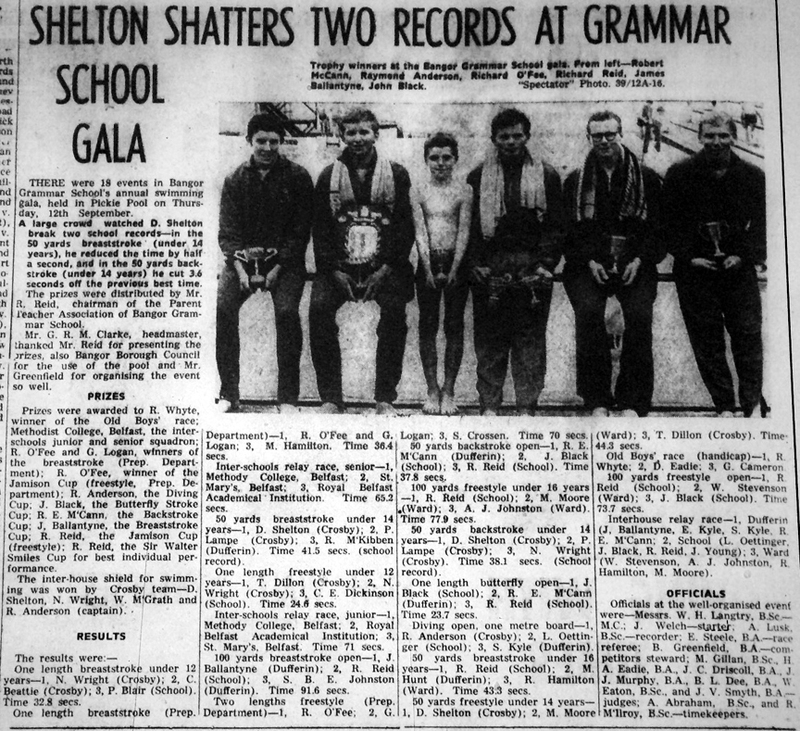 FELLOW Grammarians are invited to share their memories of swimming galas at Pickie Pool in the 1960s and early 1970s and also at the new indoor heated swimming pool, which opened its doors, initially to schools, in April 1972. Specifically, and in response to a request for help from a Grammarian now residing in Canada, we are keen to establish a timeline for the transition from Pickie to the indoor pool. Might there be a past pupil out there with a Letts Diary-level power of recollection, who can state with certainty the date of the last Pickie Pool gala and the date of the first to be held at the new pool? Traditionally, the BGS Gala was held at Pickie in mid-September, at the end of the season, just as the water temperature was turning from cold to freezing (and, as one wag has put it, when the urine level in the water was at its highest!). First Formers were under strict orders to attend, hence there was usually a very large attendance. Following the move to Castle Park was a new regular date established for the Gala and if so when was it? The school archives are somewhat scant for that period and any and all information will be gratefully received. Also, is it likely that new trophies were commissioned to replace some of the older ones that had been awarded for many years and quite likely were starting to show signs of wear and tear?